EPLIT (European Patent Litigators Association) is the association for European Patent Attorneys who may act before the Unified Patent Court (UPC). Most of EPLIT’s members meet the requirements to qualify as representatives before the UPC. Other legal practitioners, such as attorneys-at-law or nationally qualified patent attorneys, are also among EPLIT’s membership. Find out more about EPLIT and how to become a member. The 6th Annual Meeting has been held in Vienna, Austria on Friday 5 April 2019 with a pre-conference dinner on Thursday 4 April 2019. On Thursday 4 April the Opening reception and Dinner were held at the historic restaurant Vestibül of the Burgtheater in Vienna. 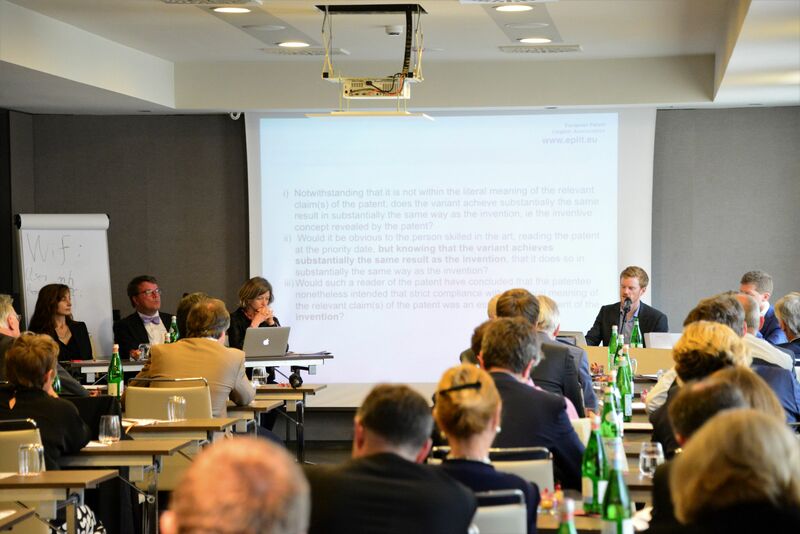 The Annual Meeting has been held on Friday 5 April at the Steigenberger Hotel Herrenhof. The pictures above reflect the atmosphere at the meeting perfectly.